At first glance, the stable of games available for the Samsung Gear VR seem modest compared to Steam. But what if you could play PC games with your Samsung Gear VR? Wouldn’t that be cool? Well you can. You will need a few things to get it working though. You will obviously need a Samsung Gear VR, but you will also need a PC with an Nvidia graphics card compatible with Nvidia Shield GameStream, an app called SideloadVR and Wi-Fi set up on your PC with your cell phone connected to it. GameStream is Nvidia’s streaming service that can play games on a TV or SHIELD tablet. 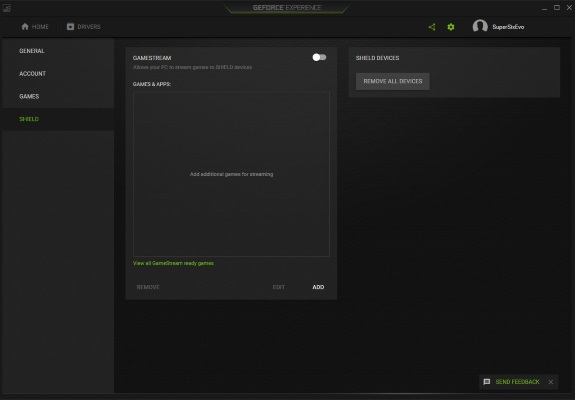 Most recent graphics cards are compatible as GameStream is part of the GeForce experience. As long as you have a compatible GPU and are using the latest Nvidia drivers, you should be good to go. 1. Download and install SideloadVR onto your Galaxy device. 2. 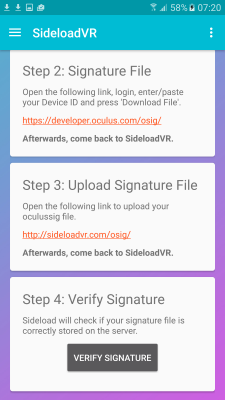 Select Signature setup and copy the ID of the device and follow the steps in the SideloadVR setup wizard. 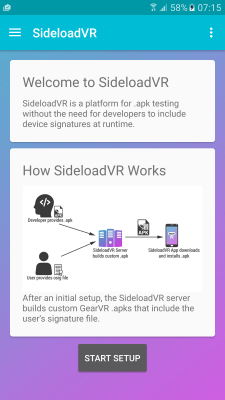 It may take a couple of attempts to get this right but you should end up with a working app store within SideloadVR. 3. Install the Stream Theater app from within the SideloadVR app store. Perform a search within SideloadVR and install Stream Theater. Let the app install into Gear VR. 4. Type your PC’s IP address when prompted by Stream Theater. Type ‘ipconfig /all’ on your PC to get your IPv4 address. Stream Theater will then give you a four digit PIN. 5. Start the GeForce Experience app on your PC and add the four digit PIN into the SHIELD part of the Experience app. 6. Select a game to stream to your Samsung Gear VR and select a scene to play in. You can play in 2D by using the Theater modes or in (mostly) 3D in VR mode. You may have to manually add games to SHIELD, just select the ‘+’ and navigate to the executable to add. Not all games play nicely with this setup but you can experiment to see which works for you. Elite Dangerous works as I play it myself. You can even set it up for head tracking too! 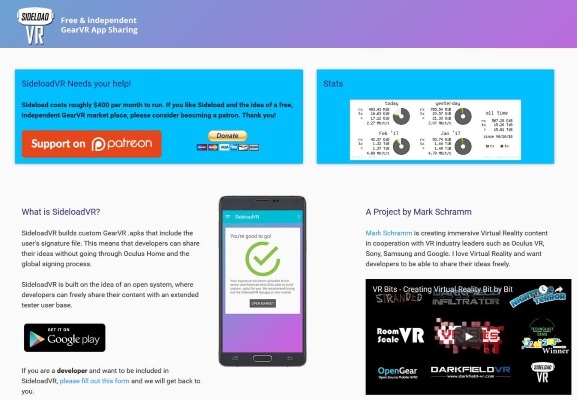 Get more from your Samsung Gear VR by learning how to download and install apps for your Samsung Gear VR or adjust and fit your Samsung Gear VR.